Jeju’s volcanic island and lava tubes are now inscribed on the UNESCO World Natural Heritage List. 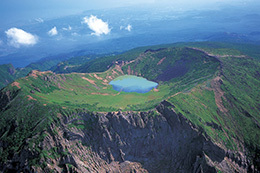 Being located at the center of Northeast Asia, with unique geographical features, such as mild subtropical climate, with small temperature variation, good weather, beautiful nature in harmony with mountains and sea, and many tourist attractions, Jeju has been listed as a “New Natural Wonder of the World” in a world-wide poll. 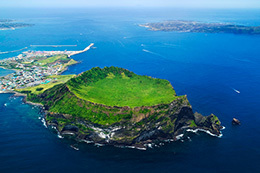 Jeju has become a world-famous resort island of tourism, recreation as well as meetings and conventions. Also, well established tourist infrastructures, including reasonably priced accommodations, airport, transportation, and IT networks made a Jeju the perfect convention venue. Jeju is connected with many domestic and international airlines through Jeju International Airport, which is accessible in about an hour from any point on the island. Jeju which was created by volcanic activity has scenic and geological value. With its outstanding aesthetic beauty, unique volcanic features and ecosystem, UNESCO designated ‘Jeju Volcanic Island and Lava Tubes’ as the first World Natural Heritage sites in Korea in 2007. 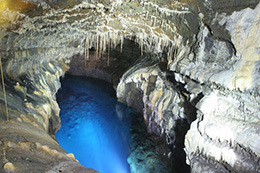 The sites declared as World Natural Heritage in Jeju are Halla Mountain, Seongsan Sunrise Peak, and Geomun Oreum Lava Tube System (Geomun Oreum, Bengdwi Cave, Manjang Cave, Gimnyeong Cave, Yongchen Cave and Dancheomul Cave). They make up 10 percent of the total area of Jeju Isalnd.